Google unveiled a free mobile application on Thursday that turns a smartphone into an electronic wallet. 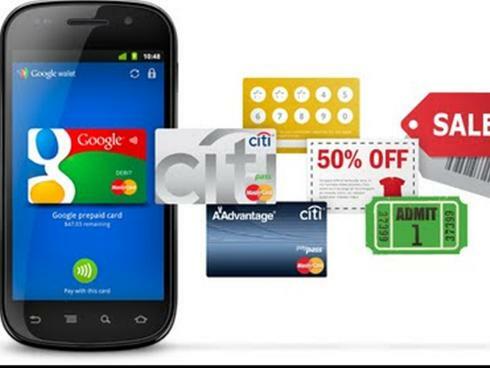 The Internet giant, at a press conference at its New York headquarters with financial partners Citibank and MasterCard and telecom ally Sprint, said "Google Wallet" is currently being field tested and will be available this summer. Google Wallet will initially work with Google's Nexus S 4G smartphone from Sprint and will eventually be expanded to more Android phones. Google said Google Wallet will be accepted at more than 124,000 merchants nationally at launch and more than 311,000 around the world. NFC technology is being tested or used in a number of countries already, notably France, but Google Wallet will be the first to bring it to the United States on a potentially large scale. Stephanie Tilenius, Google's vice president for commerce and payments, described Google Wallet as the "next generation of mobile commerce." "We're building an open commerce ecosystem that for the first time will make it possible for you to pay with an NFC wallet and redeem consumer promotions all in one tap, while shopping offline," Tilenius said. "Google Wallet will start with offers, loyalty and gift cards but some day items like receipts, boarding passes and tickets will all be seamlessly synced to your Google Wallet," Google said in a blog post. Google said the field tests in New York and San Francisco involve a number of retailers including CVS pharmacy, fast food outlet Jack in the Box, sporting goods store Sports Authority and Sunoco gasoline stations. Some Coca-Cola vending machines and taxis are also PayPass-enabled.